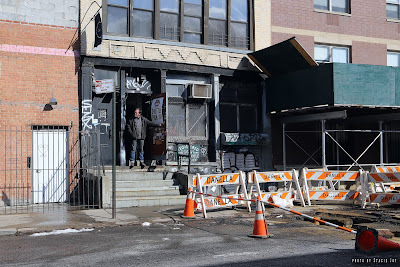 The entrances on Seventh Street at Avenue B and Eighth Street at Avenue B are closed, and will likely be that way for the duration of the renovations that are estimated to take 12 months. 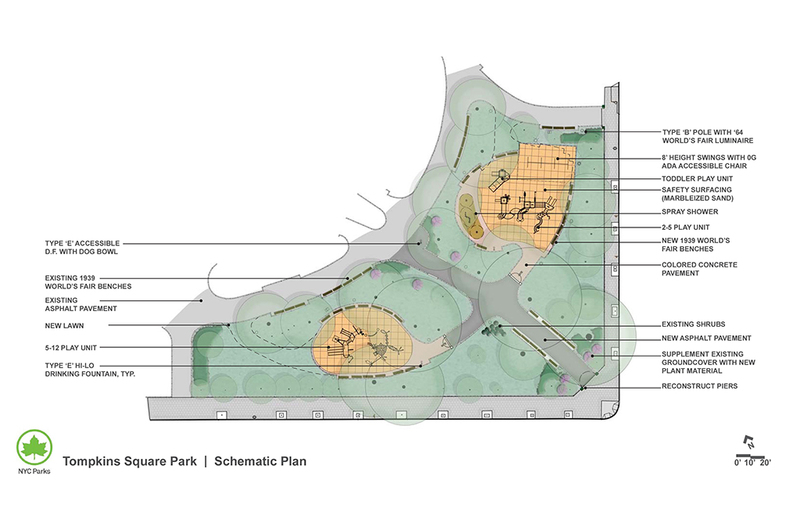 According to the Parks Department website: "This project will reconstruct two playgrounds with new play equipment, safety surfacing, spray showers, seating and fencing. 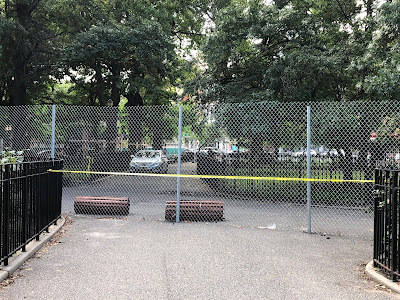 The Parks Department is supplementing the project's funding with its Parks Without Borders initiative that would lower the fences from its present height of 7 feet to 4 feet, a move that stirred plenty of concern in early 2017. 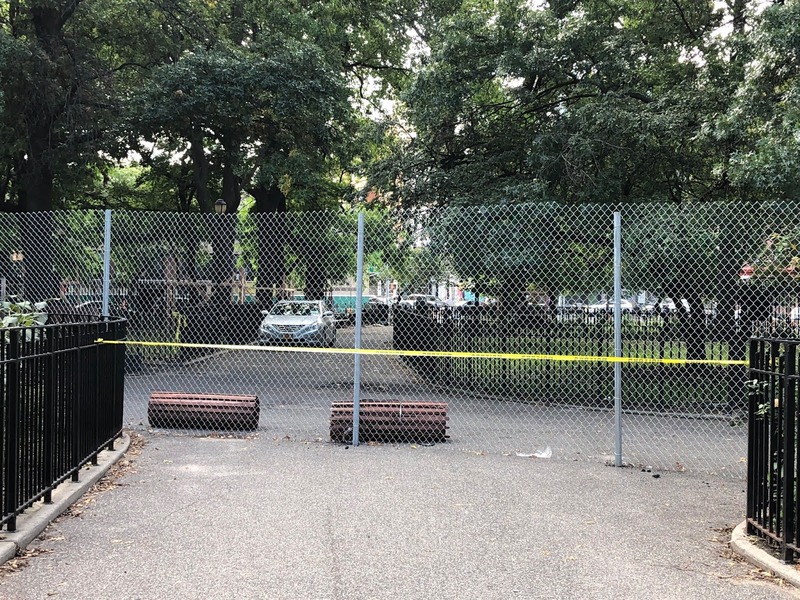 Parks officials believe the shorter fences make the play areas safer — "lowering barriers that block sight lines discourages negative behavior while at the same time making the green space more open and aesthetically pleasing," as DNAinfo reported at the time. 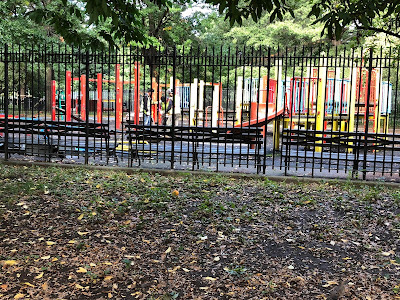 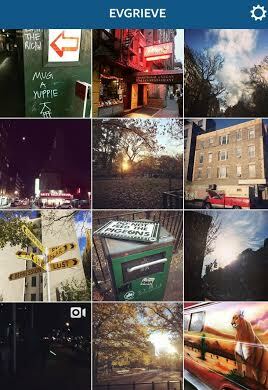 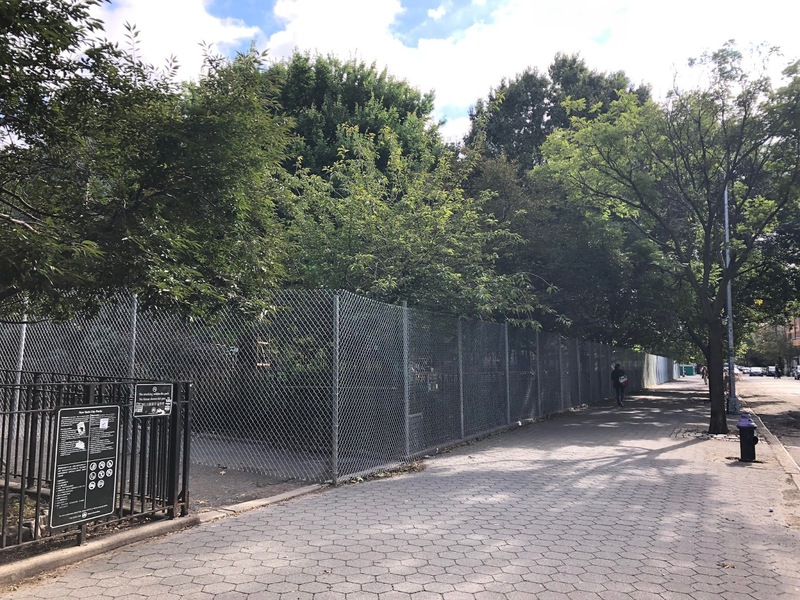 Last we heard, in March 2017, Parks Department Commissioner Mitchell Silver was reportedly going to make the final determination on the fence lowering. 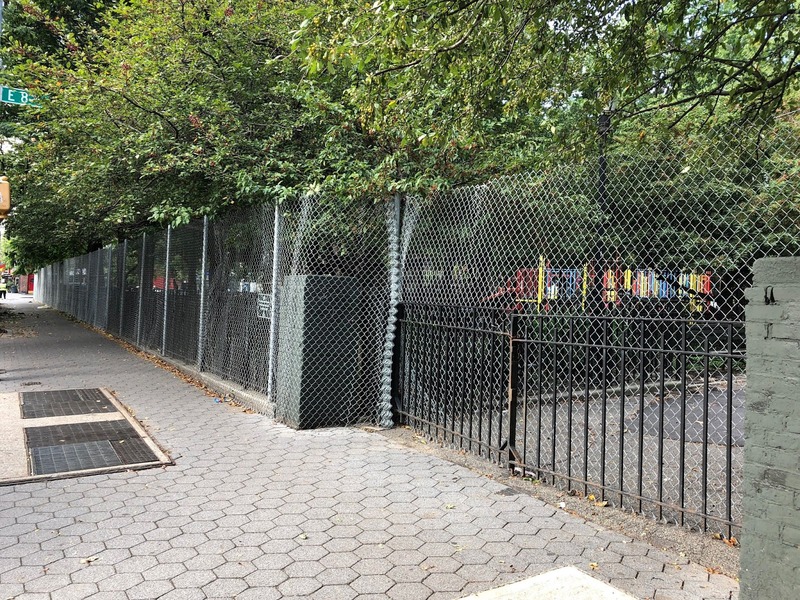 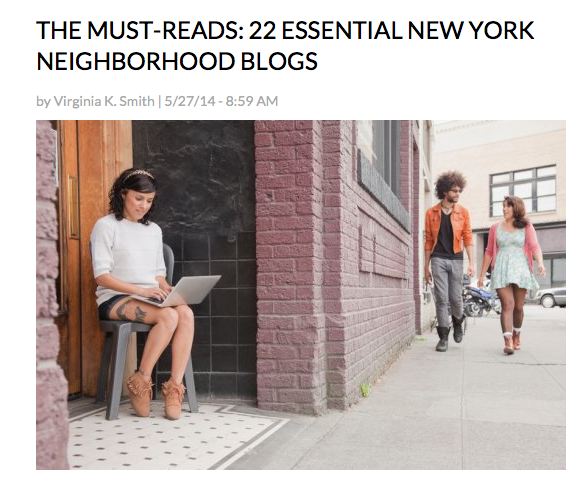 In an email last week, a Parks official confirmed that the new fence height will be 4 feet. 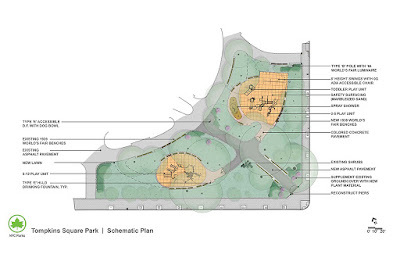 The newly fenced-off area is also where Christo and Amelia's nest is ... limiting access for prime hawk watching. 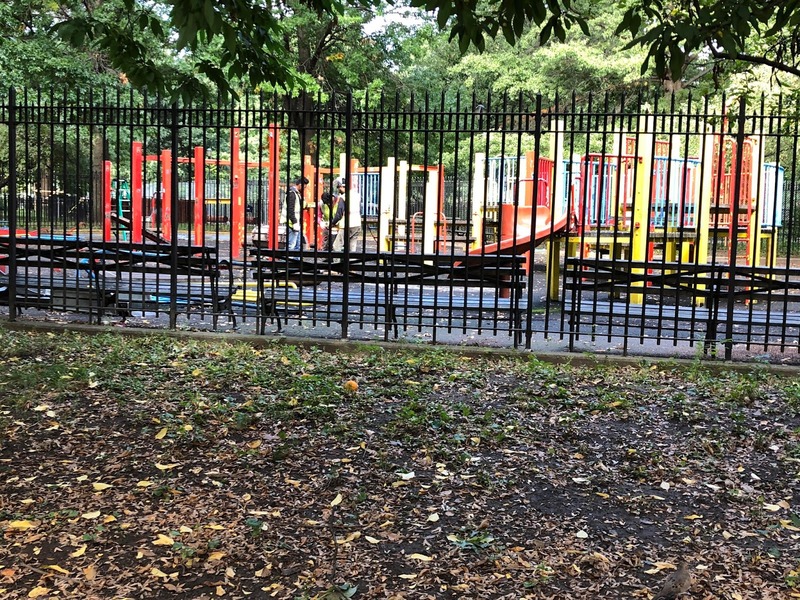 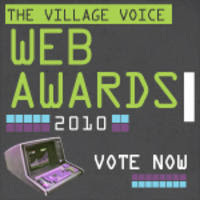 12 months to upgrade a couple of playgrounds that seem fine in their current state?